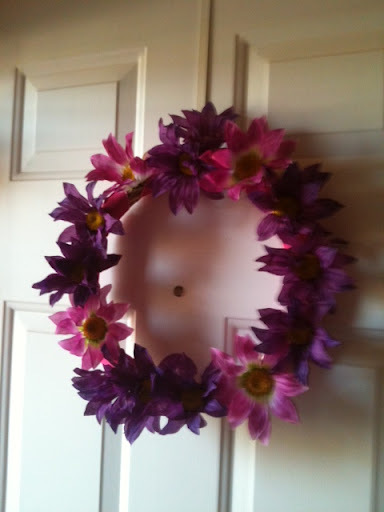 Ok, it’s not food, but for a $4- $5 Dollar Tree Wreath, it’s not bad! I bought 1 straw wreath, 3 stems of flowers, and used some hot pink ribbon I already had. I wrapped the hot pink ribbon around the straw wreath- glued it to the wreath. Then glued flowers in the spaces between the ribbon.